Plasmaglow welcomes you to the latest and greatest in LED light bars! Plasmaglow Night Raider scanning tailgate light bar brings your ride to a whole new level in automotive lighting. It features a scanning light bar has a full back and forth scanning brake light. With its super bright LED's, simple application and multiple sizes make this an easy choice to enhance your truck or SUV. This LED truck tailgate light bar features red scanning brake lights, red blinking turn signals, red solid running lights and of course, the handy white reverse lights. 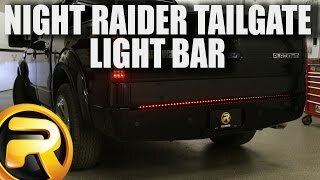 To see this LED tailgate light bar in action click the media tab above and check out the rad video. Customer service representative Todd watches this 2-3 times a day just for the music. Quick and painless mounting using the included 3M adhesive requires no drilling. 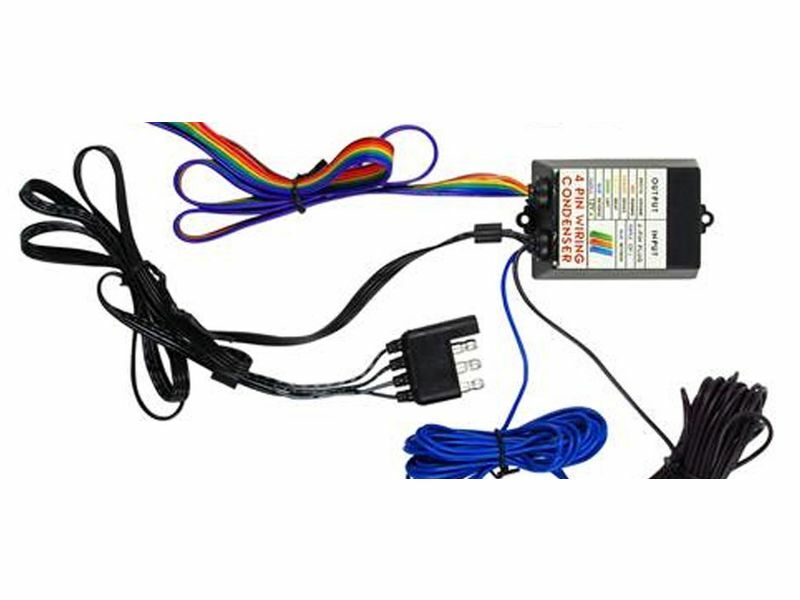 The Plasmaglow Night Raider tailgate light bar does need to be hard wired to your vehicle electrical system, or feel free to choose the optional converter and plug it into your 4 pin trailer wiring plug. With three available sizes we are sure to find one of these sweet LED light bars to fit your car, truck, or SUV. The Plasmaglow Night Raider LED tailgate bar is backed by a 1 year warranty. 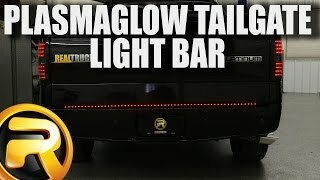 The Plasmaglow Night Raider Scanning LED tailgate light bars offer an easy at home no drill installation. Users will need to cut and splice wiring or purchase the optional trailer plug adapter. For additional information see the install manual below or call us at 877-216-5446.